In the previous post, I introduced 25 Best Personal Website Design Examples and Resources for Your Inspiration. Are you ready to start your own personal website? Do not give up for the excuses like that I am too busy or I can not code. 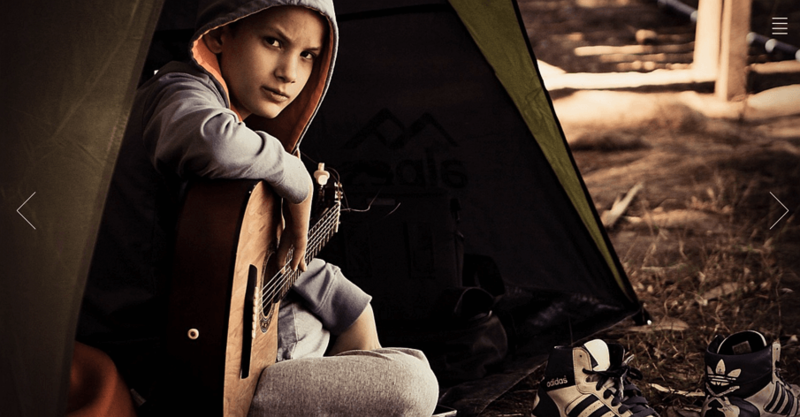 Here, I will recommend 25 best HTML and WordPress personal website templates, mostly free, to show you how to create a personal website without any effort. Portfolio - similar to Dribbble or Behance, display designer’s work. Blog - to share design inspiration, to communicate with others. Online shop - for commercial. Photograph - for display works of graphic designer and photographers. What is the best place to sell your HTML templates? Now, this is a million dollar question. Once introduced with ThemeHunt, you would feel this is where your templates belong. The facilities it offers for the authors would compel you to submit your templates today. 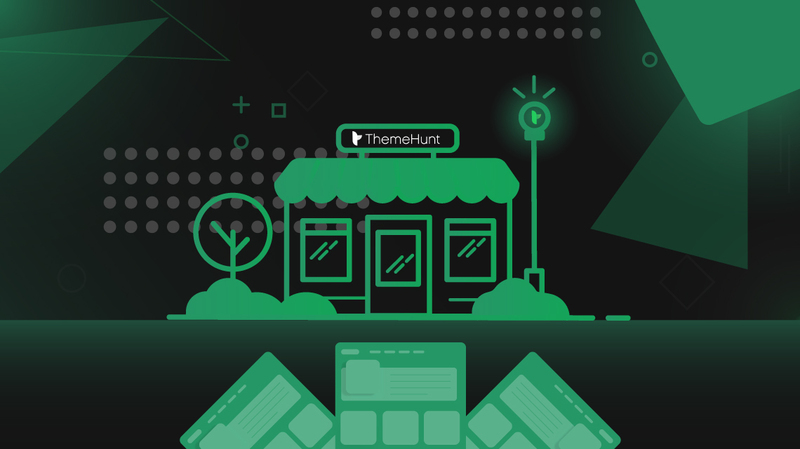 ThemeHunt is the perfect place to sell your beautifully designed themes/templates for many reasons. A portfolio website is one of the common websites for showing designer’s work. One easiest way to make a portfolio website is to download the exact portfolio template. 1) John Doe - Free Responsive HTML5 One Page Template. Built With The Best Css Framework- Bootstrap And With The Latest Version Of It. Smooth Css3 Animation And Jquery Plugin. Also For Resume Personal Website. 18 Beautiful Homepages, Single Project Templates, And Tons Of Portfolio Layouts. Stunning Menu Styles And Amazing Hover Effects. Practical Inner Pages And Fully Responsive. Fully Compatible With The Popular And Free Woocommerce Plugin For Ecommerce. Also For Personal Blog Website. 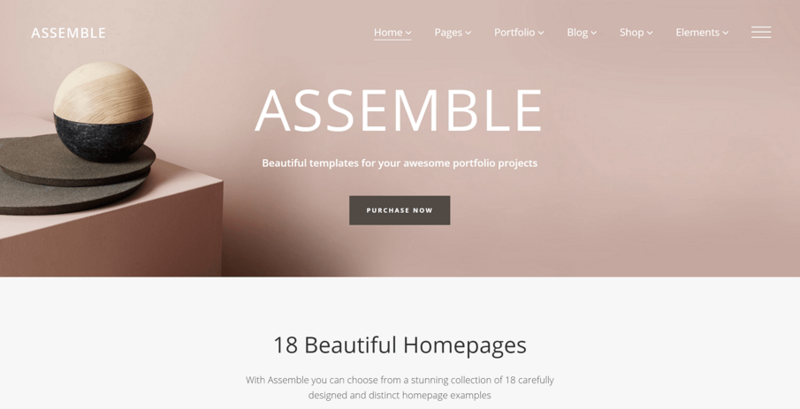 Assemble is a free online portfolio website where you can make awesome portfolio projects. 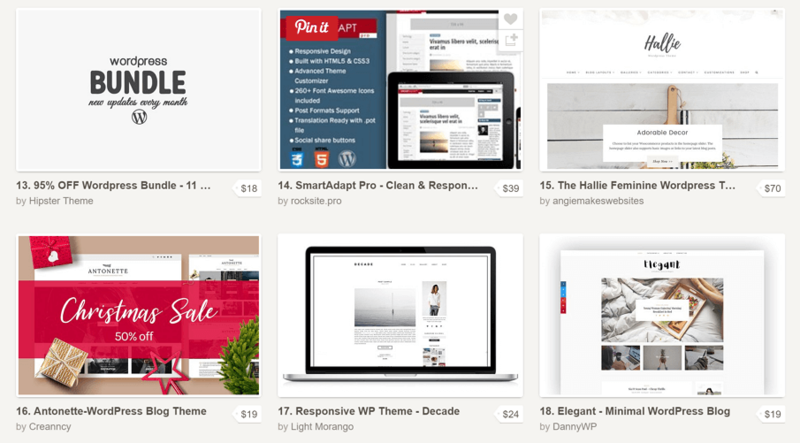 It contains 18 beautiful homepages and you are free to pick any of them. Also get inspirations from the distinct examples, and also provides excellent personal homepage template for making your own beloved homepage design. Instant is an innovation of talented professionals. It is cleanly coded, effectively designed free HTML5 Bootstrap template. It is specially designed for personal portfolios. It is fully responsive and all the premium features you are getting for free! User Feedback: “ Beautiful work. A cure to poorly designed eye-sore websites. Thanks for your work!! ” - Daniel Ekal. Eye-Catchy Trendy Design And Unique Style. Contains Website Templates For Portfolio, Resume, Commercial, Etc. Portfolio showcase the design, portfolio or illustration of any product. Especially the portfolio Website Theme for Creative People is widely used. This template built on HTML5 portfolio gives a distinctive touch to the design which adds to the creative outlook of the website. With unlimited possibilities of customisation, this template is a delight for the creative people to display their aesthetic sense. 5) Erika - A Minimal Portfolio Style Personal Website Template. It is a multi-page website template with eight homepage variants. Sice Erika is a well-coded website template, it can be easily converted to WordPress if you want. On the clean white background, the texts and other web elements are clearly visible. On the masonry style portfolio segment, you can showcase your work elegantly. The user can easily switch between the tabs to find the relevant work of you. The hover effects and other animation effects are neat. Martinis a simple, creative and responsive HTML template for showcasing your portfolio and personal information. It was made by all modern technologies like HTML5, CSS3, Bootstrap, and jQuery. This template gives you a personal space to share what you are all about as a creative designer, developer, photographer or pretty much any profession! 100% responsive and supports all new and old browsers. All the codes are clean and well organized. 25+ Homepage Demos Including One Page Home Page. 150+ Unique Elements With Different Styles. 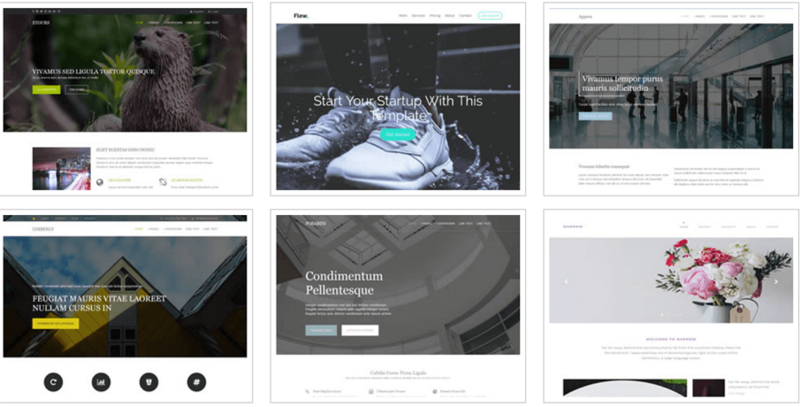 Pofo allows you construct professional blog layouts with many different listing styles. You can make blogs and galleries, or anything that sets images with Slider Revolution. One advantage of making a blog with Pofo is the easiness of everything. It’s easy to navigate (simple, clean image boxes and text only), read (intuitive blog post page styles), use, and easy to customize with its reusable code! It is even fast in page-loading and has been optimized for search engines. Also For Photography And Business. 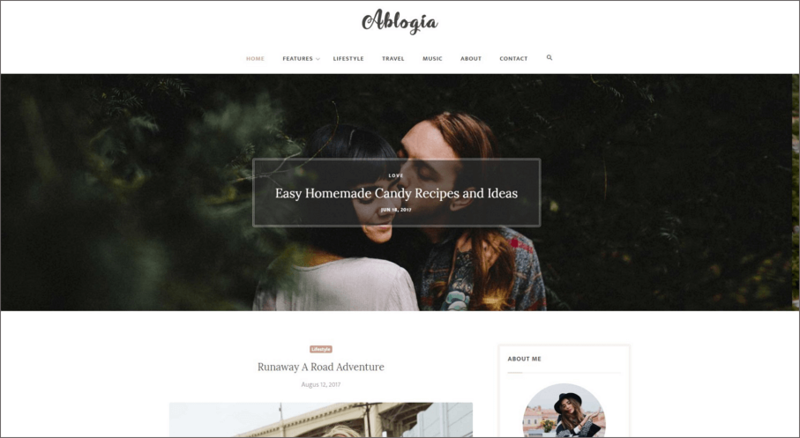 Ablogia is simple, clean and elegant blog template for bloggers. 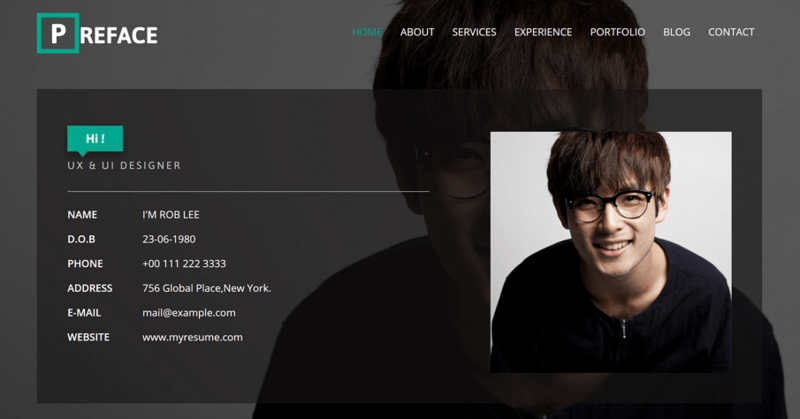 This template used modern technology like latest bootstrap, html5, css3, jquery, etc. It’s a very clean, modern and trend template. 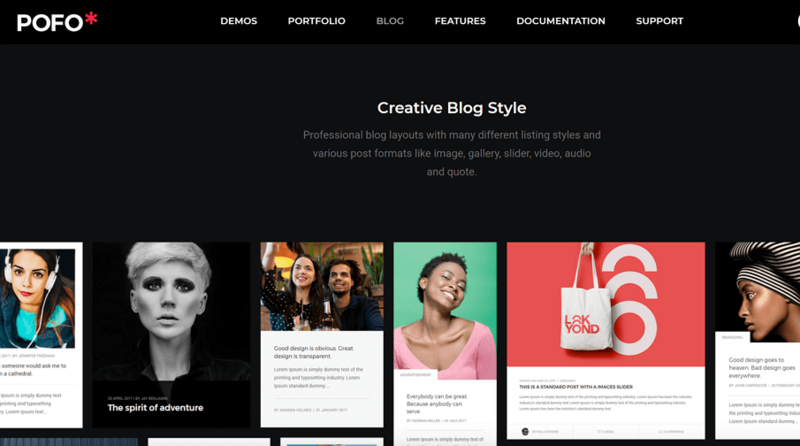 Over 960 Wordpress Blog Themes. It contains WordPress theme for bloggers who wish to share their thoughts and pictures in style. The theme has been carefully contrasted with colors of white and light blue so anything presented on Boston stands out. It has been built on the latest HTML5 and CSS3 technology with SEO optimized structure so all your articles rank well in search engine. You have the option to translate the theme into the language of your choice. 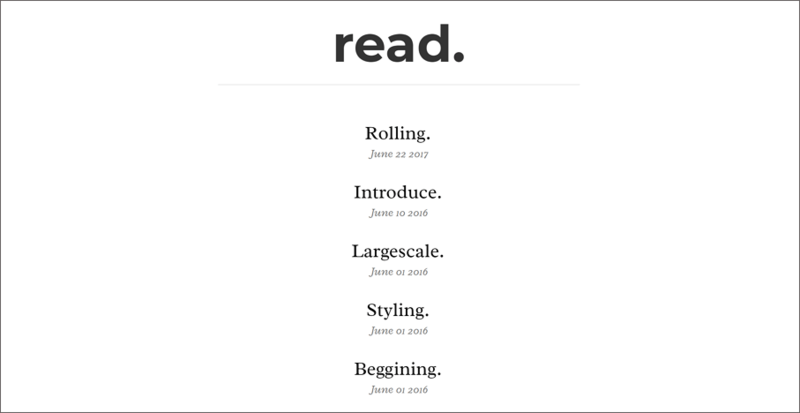 Read is minimal, clean and responsive theme built with bootstrap. It is suitable for any kind of personal or travel, tutorial blog. Jevelin is a responsive WordPress theme that requires no previous knowledge of anything. It comes with tons of demos and pre-built choices for page elements. Jevelin is documented and even provides video tutorials to guide you all the way through. It uses a Drag & Drop page builder and a MegaMenu that simplify many panel tasks. Also, it has been integrated with awesome WooCommerce and Contact Form 7 plugins. Kards is based on Bootstrap framework. It is the best template for personal portfolio, blog or business purposes. It’s well organized and commented codes which make it Easy to Customize and use. It is creatively designed so that clients automatically get attracted towards your site and become a regular partner of your business. It is cross-browser compatible and completely free. CVstrap is self-unique in the category of templates in the marketplace. 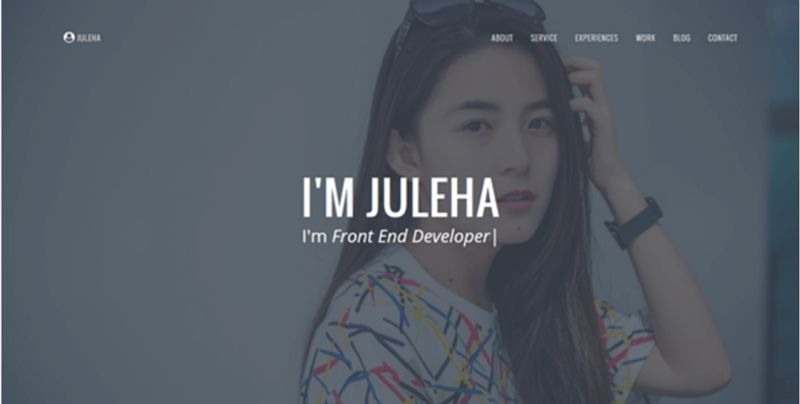 It is a Free minimal CV HTML5 template by that allows you to build your personal CV website in less than an hour. Easy resume is specially designed! A Personal Category Flat Bootstrap Responsive Website Template with an effective design and impressive Video banner. This ultimate responsive template is designed using HTML5, CSS3, and Bootstrap framework. The Colors, Images, Hover Animations, Flat Grid pattern, Video background, and Alignment cultured a fervid responsive web template to bring your website the bustle. Click is a clean and free HTML5 Bootstrap template. It’s designed for personal and professional photography showcasing. This free html5 template pays a strong attention to typography and overall UX. Clients of different ages will surely adopt it for their personal purposes, and it is completely free of cost! Liza is a great HTML website template that enables you to create a professional portfolio website and manage your blog. A wide variety of galleries such as Grid, Fullscreen and Ribbon, showcase your photos in the best possible way. SELFIE Template is a modern photographer template. It can be used by a photographer to showcase photo gallery.The template has unique and modern pages layout, that offers a range of variety for a lot of design and layout choices.The template is fully responsive and has been optimized for tablets/smartphones. 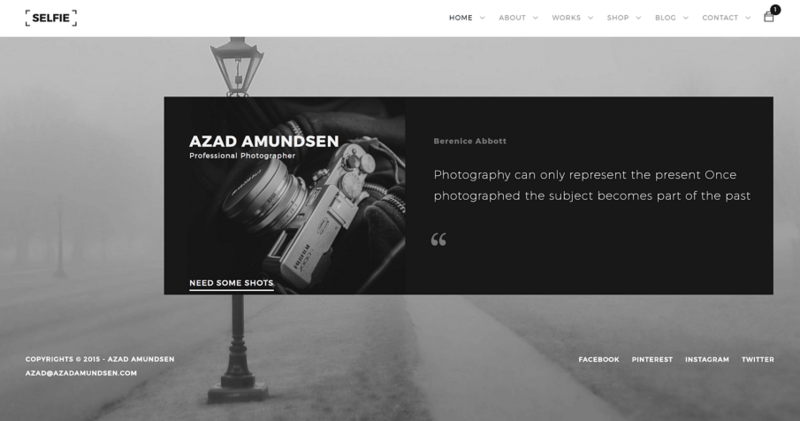 Opta is a minimalist portfolio and photography HTML template. It’s very clean and elegant. You can make an astonishing site in few steps with this template. It counts with simple and carousel image slider and even a trendy text slider. It also includes HTML files like index, about, blog and gallery. For a clear and beautiful typography, you have Google Web Fonts! Awesome is unique, elegant, clean and simple Bootstrap template for developing super class sites! It is nicely crafted and design with care. The interface looks clean, fresh and refreshing that will impress visitors of all ages for sure. This template is free and can be used for any personal purposes. 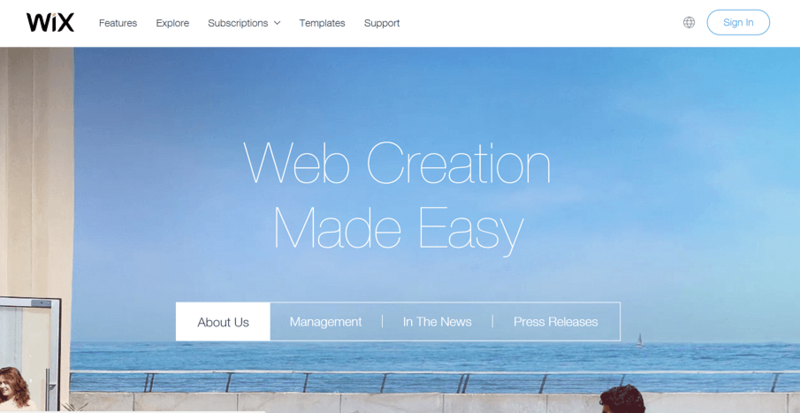 Wix provides a world-class website building platform to over 110 million users in 190 countries. It has something for everyone. So, whether you’re a photographer, musician, small business owner, entrepreneur, bride or student, it can provide all the tools and features you need to build an amazing online presence for FREE. Universal is a modern multipurpose, minimalistic and easy to use, lightweight and fast loading, multi and one-page HTML template for building a simple and beautiful business or personal website. Unibody is a modern multipurpose, minimalistic and easy to use, lightweight and fast loading, multi and one-page HTML template for building a simple and beautiful business or personal website. It is made for developers, designers, bloggers and creative people. This template has an emphasis on content and different elements for multipurpose use. 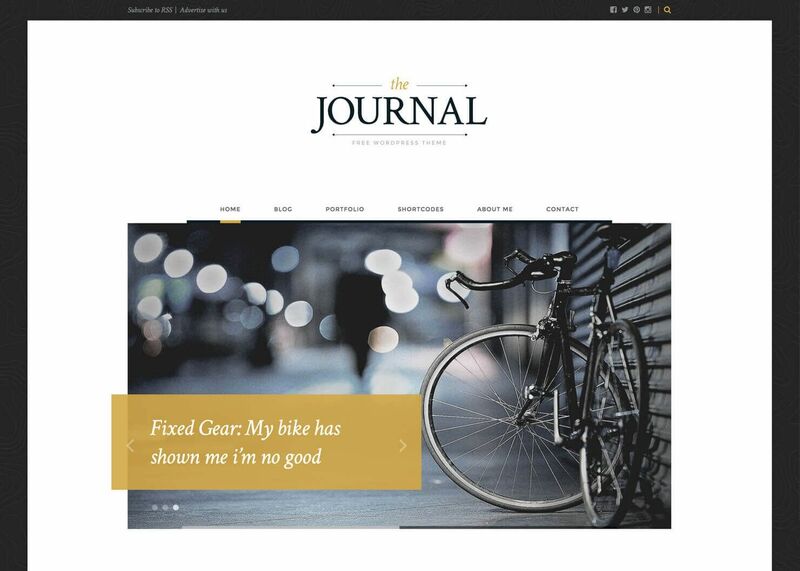 The Journal is a clean cut, modern WordPress theme perfect for any kind of website or users: bloggers, an online magazine or publishers in general. Visually interesting and stylish, while also letting the content shine, this is a hidden gem. The back end is powered by one of the most popular Unyson framework that comes with a bunch of features that will make your live easier like a visual page builder. Well, that’s all. 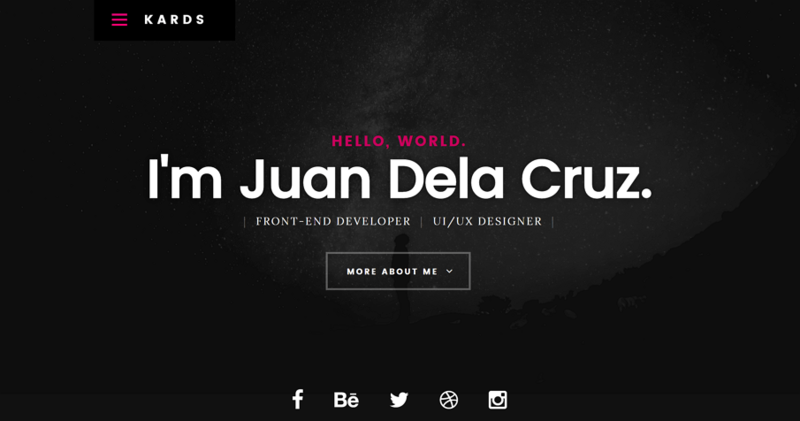 Hope you like the above 25 personal website design templates and resources. Nowadays, with those templates, you can create a website effortlessly. No coding and even the UI can be selected from the various themes. But still, if you’d like to design and create your own special website, you may use the Mockplus to do a prototyping. The components and interaction are easy to use, meanwhile, you can view with an HTML on a real screen. This can save you much time.